This on-your-feet exploration of interdisciplinary expressive arts methods will get you into your body and help you claim your voice – as a person and as a storyteller. Playful non-judgmental awareness will free the imagination and be the action partner your storytelling is waiting for. 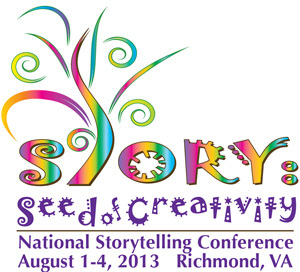 The National Storytelling Conference brings together National Storytelling Network (NSN) members, as well as individuals and organizations from the community, who are interested in the art and application of storytelling. Members and non-members present material appealing to attendees’ variety of interests and developmental needs.